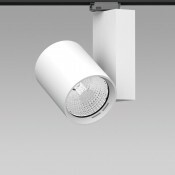 The CLUB luminaires highlight impressively premises, such as shopping malls, stores, hotels,exhibition halls, museums etc. 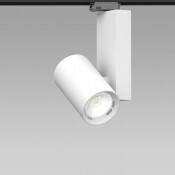 They arecompact and efficient and they haveexcellent colour quality and high-precision light distribution. 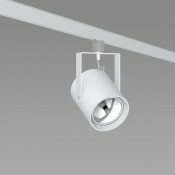 The LED chip is available in two colour temperatures, warm and neutral. 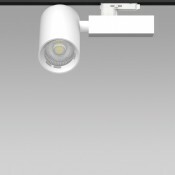 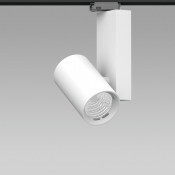 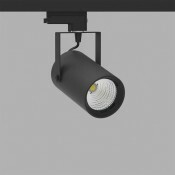 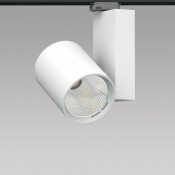 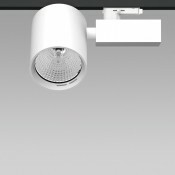 The luminaire is ON/OFF or dimmable and it can be mounted on track or on ceiling. 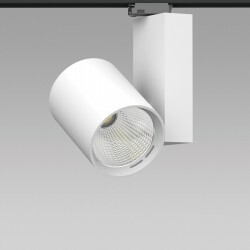 - Version for HIT-TC-CE/GU6,5.- Aluminium body.- High pure aluminium reflectors in Spot, Medium, Wid..
- Version for LED CHIP.- Aluminium body.- High efficiency LED lens.- With Universal adapter for moun..
- Version for QR111/G53, HI-PAR111/GX8,5, LED R111/GU10.- Aluminium body.- With Universal adapter fo..
- Version for QR111/G53, LED R111/GU10.- Aluminium body.- With Universal adapter for mounting on 3-p..
- Version for PAR16/GU10.- Aluminium body.- With Universal adapter for mounting on 3-phase track.- W..
- Version for LED CHIP.- Aluminium body.- Lens in Spot, Medium, Wide versions.- With Universal adapt..
- Version for LED CHIP.- Aluminium body.- Reflector in Wall Washer version.- With Universal adapter ..